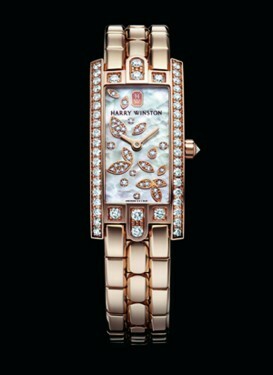 Steel case, 18ct red gold bezel set with diamonds, gold mother-of-pearl dials, stainless steel bracelet with 18ct red gold links. Self-winding movement, Omega Co-Axial calibre 8520. 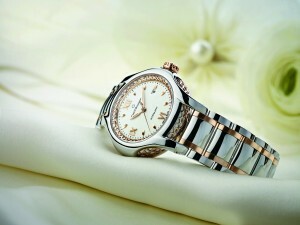 18ct pink gold and steel case, bracelet in steel and 18ct pink gold, self-winding movement, 38-hour power reserve. 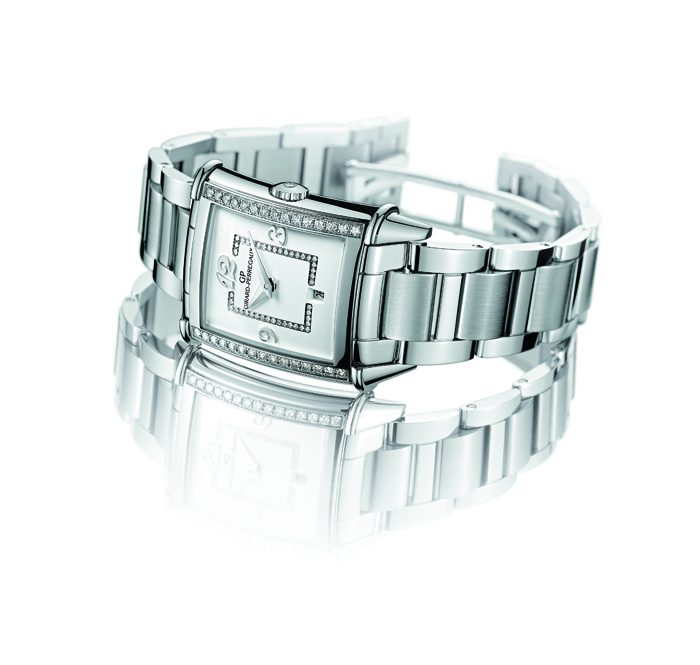 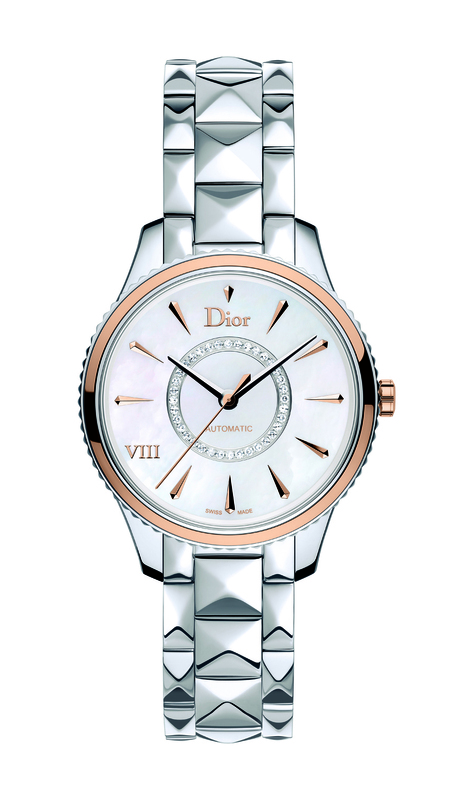 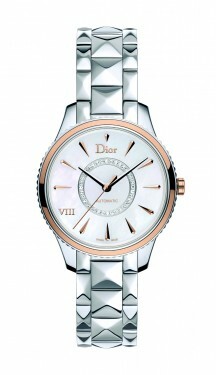 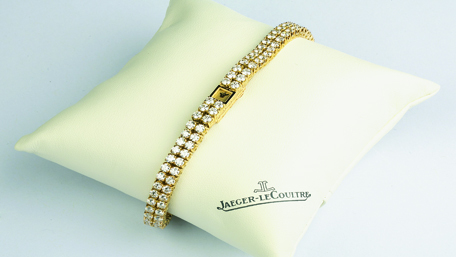 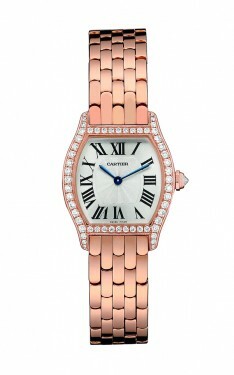 Steel watch set with 72 brillant-cut diamonds, white lacquered dial. Self-winding movement with a 36-hour power reserve. 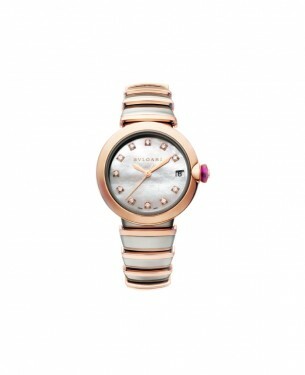 Steel case, 18ct pink gold bezel, 18K pink gold, bracelet with alternating pink gold and steel links, white mother-of-pearl dial, self-winding movement, date window at 3h, 42-hour power reserve. 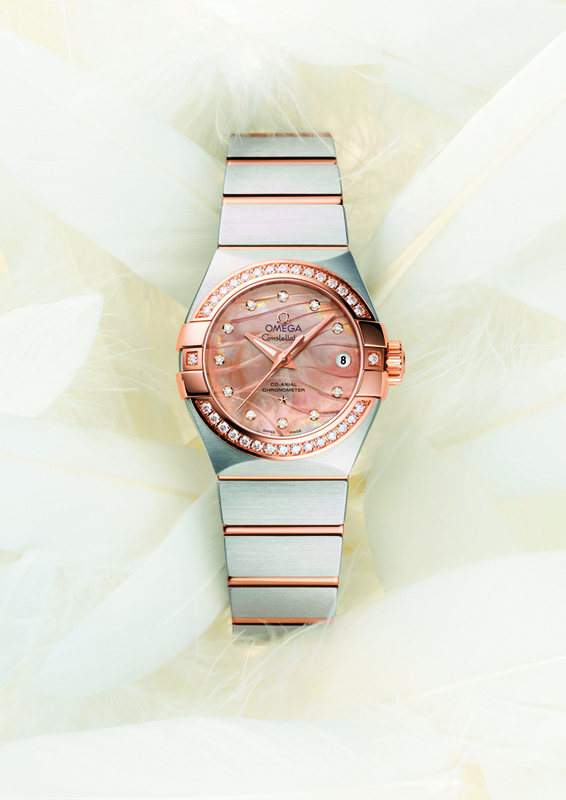 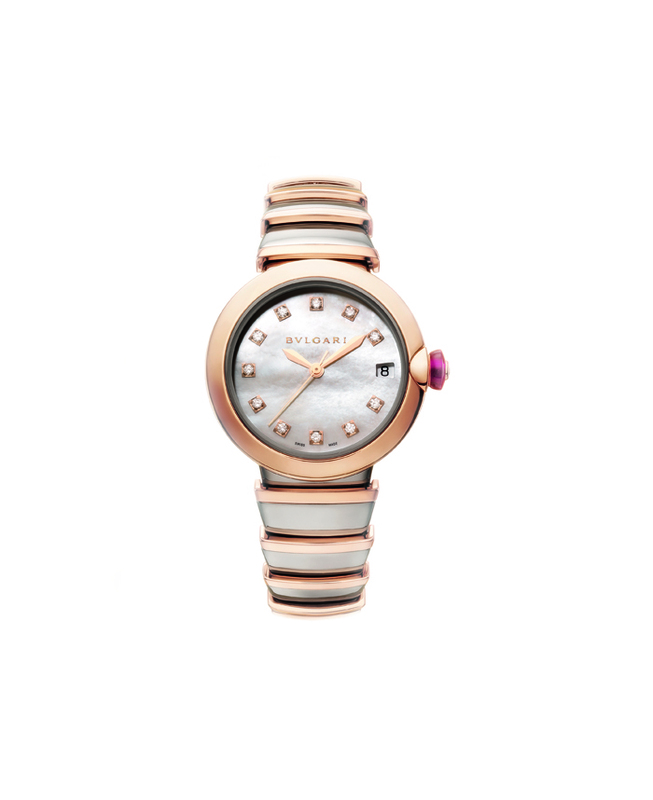 Polished stainless steel case, bezel decorated with a polished pink gold ring, white mother-of-pearl, central ring set with diamonds, polished stainless steel pyramid-shaped links, automatic movement. 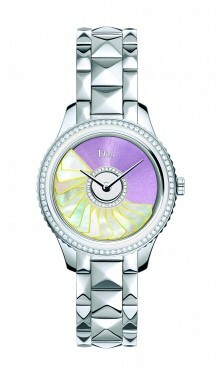 Gold case, horns emphasised by motifs derived from trunk corner-pieces, Silver opalescent dial with a padding pattern. 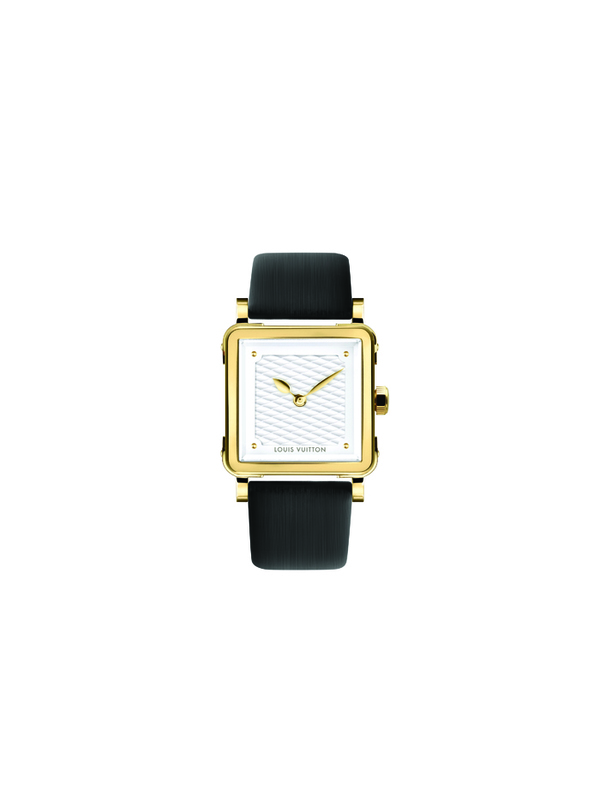 Watch in black high-tech ceramic and 18ct «Beige Gold», a new alloy exclusive to Chanel. 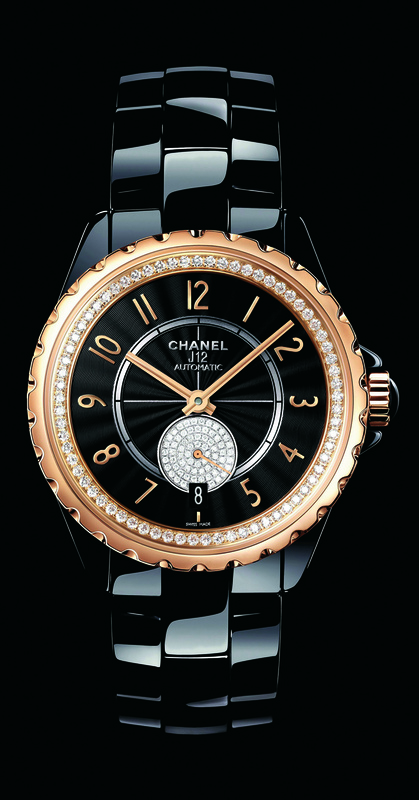 Flange set with 69 diamonds, black guilloché dial set with 68 diamonds. 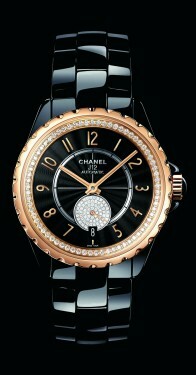 Self-winding mechanical movement, 42-hour power reserve. 18ct rose gold case set with 47 diamonds, white mother-of-pearl dial, diamond-set cluster motifs, polished 18ct rose gold bracelet. 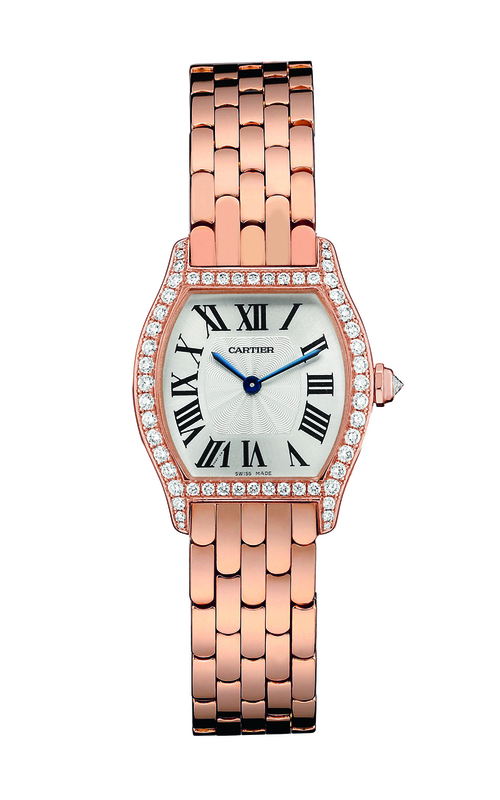 Case in pink gold set with diamonds, guilloché dial, bracelet in pink gold. 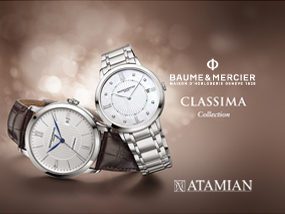 Manufacture mechanical movement with manual winding.